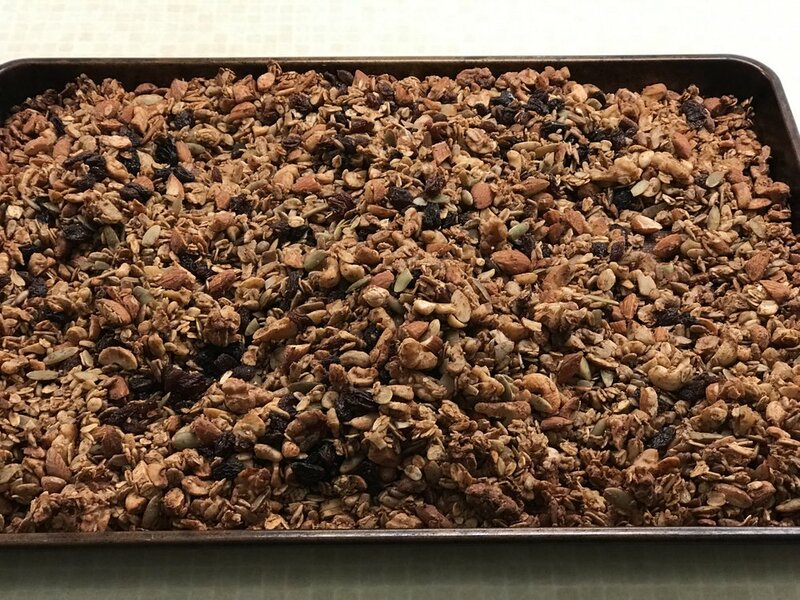 I was on the hunt for a granola with no added sugar, which is extremely hard to come by, BUT I have found one and perfected it. This is something we ALWAYS have in our pantry. We will use it on yogurt, on smoothie bowls, with milk, and sometimes I’ll grab a quick handful if I’m hungry!! Roughly chop almonds, cashews, walnuts, and pumpkin seeds. 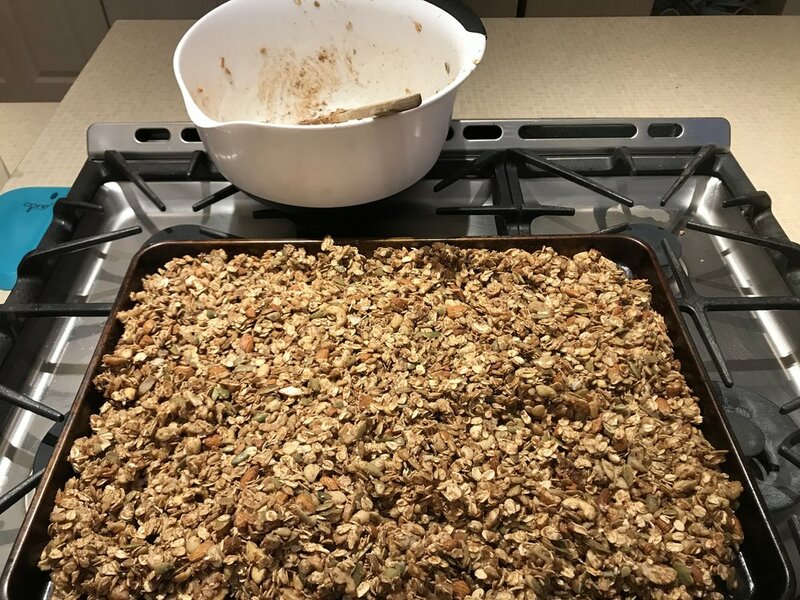 Place nuts and seeds in a large bowl with oats and spices. Melt coconut oil in a microwave safe bowl. Mix into nut and seed mixture with applesauce. Mix until well combined. Place on a baking sheet lined with parchment paper or a Silpat. Cook for 35-45 minutes total, mixing every 15 minutes. In the final 15 minutes, mix in the raisins. **You can add the raisins in earlier, we find that they get too hard if they cook the whole time.